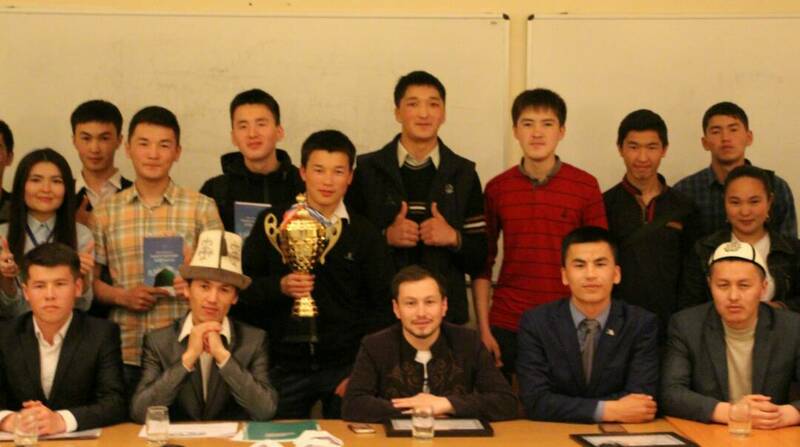 On 20th of April the intellectual club “Oilonshow” of Kyrgyz-Turkish “Manas” University held its 3rd game of 7th season. The game called “My Favorite Prophet Muhammad (S.A.V)” was held with the sponsorship of the fund “Yiman” and the support of Student Council. 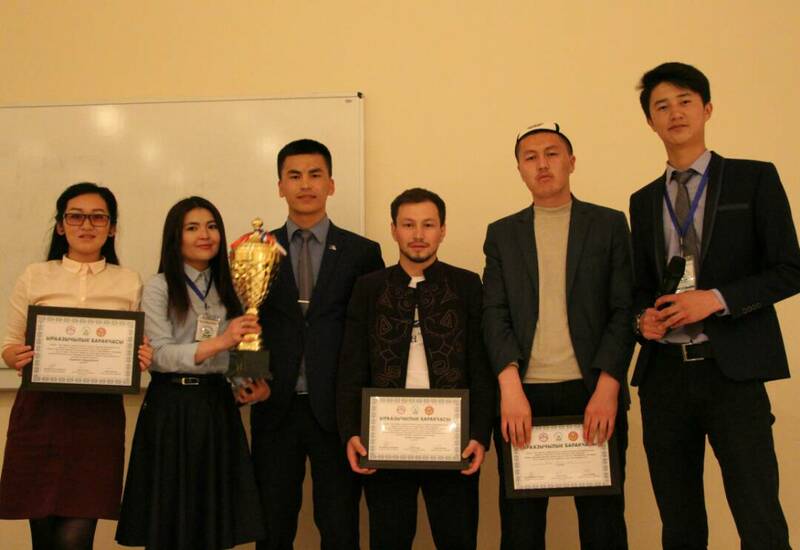 The honored judges of the game were our graduate Aiazbek Atamkulov, the 4th year student of the Faculty Theology Ulan Myrza uulu, The graduate from the Socilogy Department Nursultan Akylbek uulu, the contributor in the maintenance of the club “oilonshow” Daulat Kanat uulu, and the president of Student Council Zalkar Akylbek uulu. Aiazbek Atamkulov opened the event with the poem about our country written by Altynbek Imankulov and said: “In order to develop Kyrgyzstan, first we must develop ourselves intellectually. We are expanding our knowledge, the evidence is today’s game” . Then, there were recited poems in honor of the prophet, after which the game started. The game consisted of 3 rounds, and took part 16 teams. 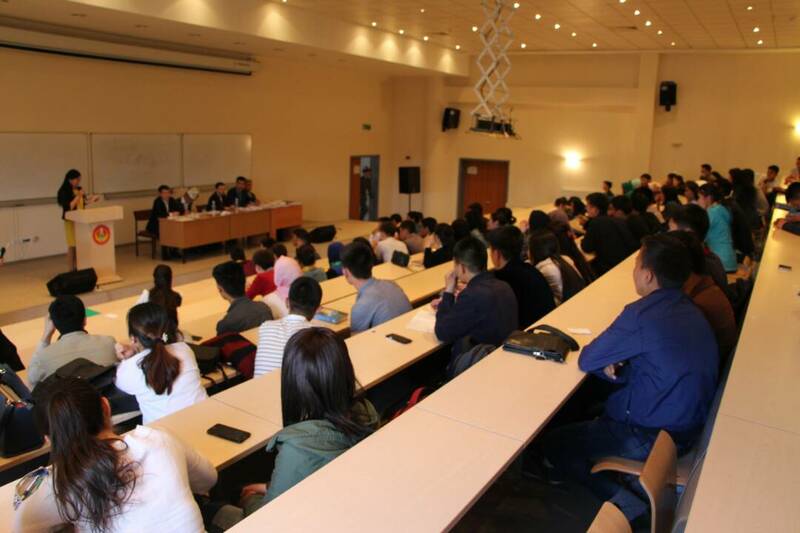 As a result, the 1st place gone to the teams “A4” and “Rayan”, the 2nd place occupied by the team “Kench”, and the 3rd place was conquered by “Nur”. The winners were awarded with the books and T-shirts of the fund “Yiman”. Besides, the audience were also participated in some questionnaires, for which they got prizes.